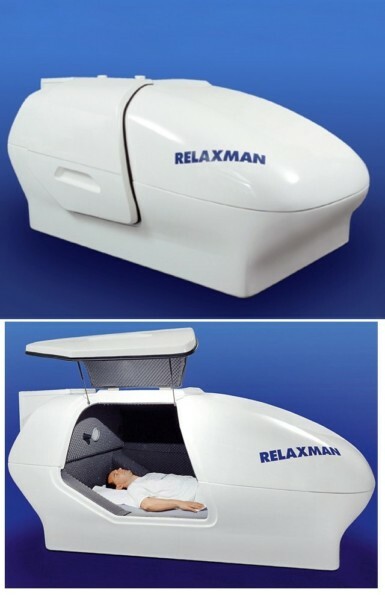 The Relaxman Relaxation Capsule provides ultimate relaxation to the user. One adult or two people half the size of an adult can fit inside the capsule comfortably. Perfect for placement in the living room and using when unwanted guests arrive, or for hiding when your husband/wife/boyfriend/girlfriend is in one of those moods again. In a pinch, it can be used as a last-resort babysitter when no licensed sitter will even consider watching over those daemons you call children. Answers to frequently asked questions: No, you will not emerge as a butterfly; no, you will not stay young because the contents of the capsule are not immune to passing time; and no, you will not hear the smoke detector go off due to the capsule’s sound-proof technology. See it here on Amazon.